106 Crossing Ave, Moyock, NC 27958 (#10226869) :: Abbitt Realty Co. The Dominica is the right fit for a classic grand lifestyle. The open floor plan includes a kitchen island & dinette plus a formal dining room for your larger gatherings. Find 3 bedrooms standard with 2 baths or convert a bedroom into a flex room for an even more open floorplan. Stainless steel appliances incl. the refrigerator are standard. A dedicated laundry room is ready for your washer/dryer and conveniently located near the bedrooms. Off the dinette is a sliding glass door for you to access your back yard. Enjoy craftsman-style doors and trim throughout giving your home a casual, comfortable feel. Upgraded finishes are available such as granite countertops, ceramic tile surrounds and hardwood floors! 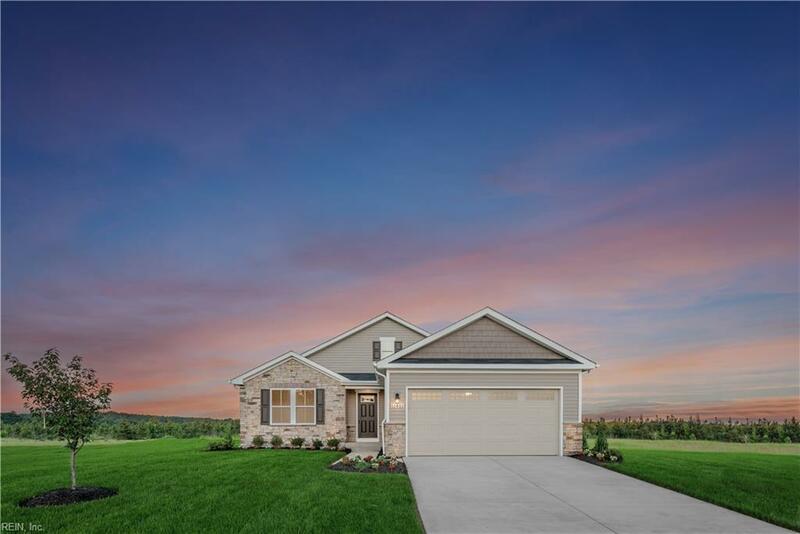 Moyock Crossing is a community of maintenance-free, ranch homes with water access. Convenient to Greenbrier & Edinburgh. Maintenance-free exteriors mean you dont have to waste time on yard work. Enjoy a kayak launch, dock & private RV storage!